Looking for a late model, used crossover/wagon sixed vehicle that can fit a decent amount of cargo (new baby gear), has good safety ratings, and is easy to see out of. Also want something very reliable = Japanese brands in my mind, with decent gas mileage. I'm used to cars 10+ years old, so everything feels impossible to see out of these days. I keep cars for 15-20 years. The CRV would probably be the front runner if not for visibility. I was considering Subarus, especially the Outback (since the ride is smoother than the Forester), but honestly, I don't find the visibility to be that great. But, maybe it's impossible to find anything better. Maybe the Prius V would be worth a try? The Prius v would be my suggestion. Gets great MPG, holds a decent amount of stuff, and is fairly comfortable and super reliable. My '05 Prius has 257k miles with only the battery and A/C system replaced. My '16 Prius Liftback is a great car as well. The engine noise in the v will be louder than in the liftback because the larger cargo space amplifies the volume. I'm not sure how the visibility is. Probably average. With a wagon, you'll have the same or more cargo space than a crossover assuming you are comparing compact SUVs. Wagons are also easier to park usually. The Outback has a smooth ride, but probably won't be as reliable as the Prius because of all the oil consumption complaints. You also pay a premium for the AWD and gas mileage is not as good with the Outback. The Forester doesn't use its space as efficiently as a wagon, but it probably has the best visibility of any new car on the market. The space in the Kia Niro would not be adequate because it has has less cargo volume than a regular Prius Liftback. Also, reliability isn't really known yet. I also don't think a Honda Fit would have enough space despite being so big inside. 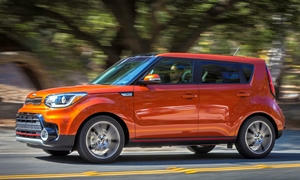 The Kia Soul should not be overlooked. It is a good car that fits your priorities. Reliability has been good and the used ones have depreciated a lot. You can even get a mid-level new Soul, but I'd probably go CPO. If you decide to go with an SUV, the Toyota RAV4 is the most reliable option. It is safe and practical. The Honda CR-V had some CVT vibrations from 2015-2016 and the 2017s are not that reliable. 2012-2014 was good. If you get a used 2017 RAV4, you have every active safety feature on every trim, which can save your life. I bet you could get one in your budget even CPO with a 7 year powertrain warranty. The Chevy Equinox and GMC Terrain are inefficient and the Buick Encore is too small. Please tell us what your decision is and good luck! I'd skip the economy cuvs and look at a Regal Sportwagon 2.0T for less than $22,000. 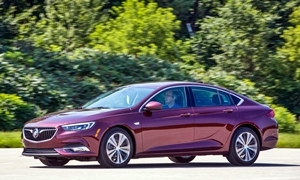 It offers luxury car warranty, smooth and quiet Buick ride, and 60 feet of cargo space with rear seats folded or vs Prius V 67 cu ft.
New 2018 Buick Regal Sportback Preferred for sale at Gateway Buick GMC in Dallas, TX for $21,985. View now on Cars.com. Thanks for the input all! LectroFuel - one of my concerns on a hybrid is cost of battery replacement, since I'll surely need to do that. How expensive are the batteries these days? My battery was about $2100, but I replaced it after 245k miles.So, you'll have a long way to go before that time. A specialized hybrid shop could replace it for less than $1000. One thing to note when buying a used Prius is that age hurts a Prius' battery more than mileage. A 2004 Prius that has been garaged and only has 50k miles with its original battery will need a battery replacement much sooner than a 2013 Prius with 130k miles on its original battery. This is why there are many newer Prii taxis with over 300k miles. Don't buy a previously used rental or taxi Prius because they are beat up. TheHybrid-related components, including the HV battery, battery control module, hybrid control module and inverter with converter, are covered for 8 years/100k miles. The Buick Regal is over your budget unless you are in Dallas. The only two Sportback wagons that are under $22k in the entire country are in Dallas. The Kia Soul has a better warranty. The Honda CR-V would be my choice. A low mileage 2013-2014 CR-V should be available for well under $20,000, and a new one for just a little bit more than $22,000. I have owned a 2013 Honda Cr-V and now a 2018 Honda CR-v. In between, I leased a 2016 Subaru Outback. So, we traded the 2016 Outback for a 2018 CR-V and once again are happy with the choice of Honda. You mention visibility as a concern and maybe this is a problem for some, but I did not have a visibility problem with either the Subaru or the two CR-V's that I have owned in recent years. The 2013 and 2018 CR-V models that I have owned, both had AWD, and the newer one has the 1.5 Fuel injected engine. Both provided better gas mileage than the Subaru, and both provided better performance, with the 2018 being the most responsive of these three vehicles. I think that despite my own preference for Honda over Subaru, most people can expect to achieve long term durability from both of these brands, and so my choice would be Honda because of gas mileage and engine performance. Another good choice could be the Toyota Rav 4 which has an excellent reliability reputation. However, I do not have ownership experience with this model. Thanks Member365. I totally agree Honda would be best in reliability. I'm going to test drive a CR-V and see how it feels. I'm concerned about Subaru's current reliability reputation - they just don't seem to be what they used to. I did like the car-like feel of driving the Outback though. I'm not really an SUV person, but want the cargo space. How does the feel of the CR-V compare to the Outback in your mind? Rav4 has worse visibility than CR-V, so I'm not considering that. "The wide windshield, fairly slim A-pillars and tall side windows make for good visibility to the front and sides. The high driving position also helps. The B-pillars are moderately slender, but thick back pillars create large blind spots, and it doesn't help that the rear window is on the small side.The side mirrors are large and provide good views. A multi-angle rearview camera comes standard on all CR-Vs, although the 5-inch screen on LX models seems too small. EX models and up get a larger, 7-inch screen. EX trims and higher come standard with a blind-spot warning system, as opposed to the LaneWatch camera system Honda used to offer, which only worked on the right side of the car and could be distracting.The rear cross-traffic alert system (standard on EX trim levels and higher) is a helpful feature when backing out of parking spots, especially in light of the CR-V's compromised rear views." "The outward view is good overall, thanks to large windows and fairly thin windshield pillars. But reversing can be a bit tricky since rear three-quarter visibility is not stellar. The sweeping rearward beltline may limit kids' view out. Lower trim levels come with a small inset mirror on the driver's door mirror; this can show what lurks in the driver's side blind spot. Blind-spot monitoring is available. A surround-view camera system, helpful when parking in tight spots, is optional on certain trims." "While the recent slate of small and midsized crossovers have sleek, sloping rooflines that compromise rearward visibility, the Outback's upright greenhouse, big windows, and thin pillars make it easy to see out the back and minimize blind spots. Blind spot monitoring and cross-traffic alert, both rather useful technologies, are optional on the Premium trim and standard on Limited and Touring versions." "Short drivers liked sitting up high. There are large windows all around. The single, large rear window is a huge improvement over the regular Prius' split-rear window. A standard backup camera is a welcome feature. But the rear roof pillars are large and it's a bit hard to see the end of the hood over the high dashboard." Seems like the Outback and RAV4 are easier to see out of, however taking a test drive of these cars is proof. The CR-V is also not as reliable as some other SUVs in the segment such as the RAV4 and CX-5. The Outback has a few less cubic feet of space in the trunk than the CR-V and RAV4, but I personally find wagons to be more appealing. 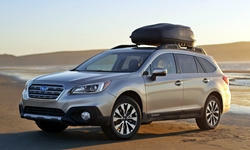 A consensus of automotive reviews shows that the Outback is more comfortable than the SUVs because of its soft ride. It is also slower than a Prius when equipped with the 4 cyl engine. I've heard good and bad things about the Outback's reliability. Also, just looking at the shape of the new CR-V, I can tell the visibility of the CR-V is not as good as some other compact SUVs. 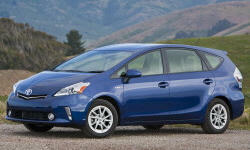 Out of the cars we have mentioned so far, the RAV4 and Prius v are more reliable by a wide margin. One thing to realize with Prius batteries is it's often only necessary to replace specific cells, and these are fairly cheap, especially if you do the work yourself (many owners do). The 2018 Equinox has had as reliable first as any new vehicle launch could matching the old RAV4 from 2013 and beats the current CR-V as found on Truedelta. The price of a new one can had for $20,000. Read our most comprehensive review of the 2018 Chevrolet Equinox's standard features, trim levels, and available options. The Escape is another tried and true vehicle that like the Equinox can tow 3,500 lbs with 2.0T and has better outward visibility than CR-V.
Look at the outward visibility pictorial in the Equinox review. I drove a CR-V today (2016) and while I liked the ride a lot, the right and rear visibility was terrible for me, so it's out. I also test drove a Forester again, and after the CR-V, was really happy with the visibility. I don't like the jumpy acceleration on the Forester, but I may be able to live with it for good visibility. Still need to try the Prius V and I may try the RAV4, but I'm not too optimistic on the latter's visibility. NormT - I'm really partial to Japanese cars, so not planning to try out any American models. 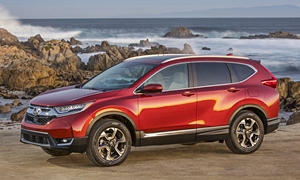 Regarding the "feel" of the CR-V compared to the Outback, the CR-V acceleration is better than the Outback 4 cylinder. We live in an area with many hills, and some mountains, and the engine response on the hills is considerably better in the CR-V than in the Outback. If I bought a 2016 Outback again, I would opt for the 6 cylinder version despite the loss in fuel economy because overall the improved power would have been more important to me than the fuel consumption. So, in this area of measurement, the CR-V with it's responsive 4 cylinder and very good fuel economy has a distince advantage. In our area, we often have high crosswinds on our highways, and the CR-V is a little less troubled by these winds than the Subaru. However, both of these vehicles capture more wind than our other car, a 2016 Honda Accord, and so the Accord sedan is less affected by cross winds. Both the Outback and the CR-V provide a relatively quiet highway ride, and the 2018 CR-V is quieter than the 2013 model. Both the Subaru and the CR-V's deliver good braking and good steering response. The CR-V gives the driver just a little bit more visibility than the Outback because the driver seat is just an inch or so higher than in the Outback. However, the Outback driver seat is definitely higher than a typical sedan so it does offer a little better road view than our Accord, for instance. 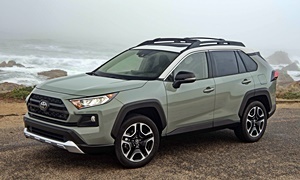 Overall, I would give the CR-V a slight nod over the Outback for road "feel", but I want to be very careful in providing advice to you on this because so many subjective elements come into play when deciding between a couple of very good cars, and some people will prefer one over the other. 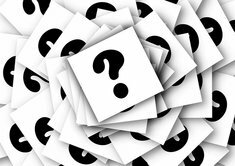 So, you should test drive each of the competing vehicles that you think will fit your needs, and make your decision. After you buy...don't worry about your decision any more. You will likely be happy with any of the choices that respondents are offering on this forum...unless you get a "lemon"...like I think my Subaru must have been. Everyone who has one seems to love the Subaru. I just don't enjoy being left stranded twice with a broken down car with less than 35,000 miles on it, so I needed to replace the Subie. I truly believe this was an isolated case. Good luck and happy motoring. 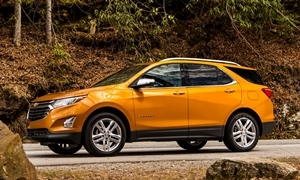 you are missing the boat not driving an escape or a class leading new Lee redesigned Chevrolet Equinox. The newly redesigned domestics actually exceed the older Japanese cars today. 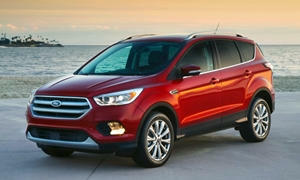 The escape and the Equinox are five to $8,000 less expensive and well within your budget compared to the Japanese. The Outback 6-cylinder is 4 mpg less efficient than the Regal TourX 2.0T on the highway according to Motor Trend. We put three station wagons to the test, comparing every detail from how they drive to how spacious and practical they are. Read here to find out who wins! GM makes some good cars. I don't think any of them are class leading. They beat the older Japanese cars, though not most of the new ones. They are probably class leading in terms of the number of incentives, but there is a reason the "Toyota tax" exists. The Equinox doesn't even have adaptive cruise control on the top trim. Replacing the Prius' dead battery cells is easy I've heard. You just need to be strong enough to take out the entire battery under the trunk first. I probably should have done it myself. jdas0128, the 2013+ RAV4 is one of the SUVs that is easier to see out of. It is an older design, so the rear window is bigger. A backup camera has been standard since 2013. The Prius v should have a softer ride than the RAV4 and the RAV4 probably handles better. You'll get around 41 MPG in the Prius v and 26 MPG in the RAV4. 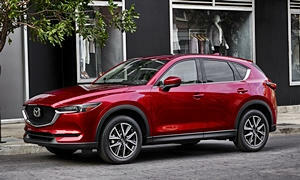 One of the Japanese models I don't see mentioned much in the other responses is the Mazda CX-5. Great mileage, good reliability. We almost bought one but decided to get a Mazda 6 instead because of the higher gas mileage. I didn't mention it because jdas0128 wants a smooth ride and the first generation CX-5 had a stiff ride. I don't know if you can get a used 2017 CX-5 in his or her budget. The 2017+ second gen is a much more comfortable car. Every year has excellent reliability ratings, however. The CX-5's visibility is also not that good in the second gen, though the first gen was pretty easy to see out of. I did drive a cx5 and didn't like the visibility, or lack thereof. I am going to find a RAV4 to drive, perhaps a slightly older one in hopes of better visibility. LectroFuel - you mentioned the 2013 model year. Is it just the 2013 and older with decent visibility, or would 2014/2015 also have decent visibility? Thanks all for the feedback. 2013 through 2018 has good visibility. The new RAV4s have the same design as the ones from 2013, so visibility will be the same from 2013-2018. The 2012 and older ones have a spare tire behind the rear window so those are not easy to see out of.